"For falling asleep on the mountain has the delicious corollary of awaking. To come up out of the blank of sleep and open one's eyes on scaur and gully, wondering, because one had forgotten where one was, is to recapture some pristine amazement not often savored. I do not know if it is a common experience (certainly it is unusual in my normal sleep), but when I fall asleep out of doors, perhaps because outdoor sleep is deeper than normal, I awake with an empty mind. Consciousness of where I am comes back quite soon, but for one startled moment I have looked at a familiar place as though I had never seen it before. Such sleep may last for only a few minutes, yet even a single minute serves this end of uncoupling the mind. It would be merely fanciful to suppose that some spirit of emanation of the mountain had intention in thus absorbing my consciousness, so as to reveal itself to a naked apprehension difficult to otherwise obtain. I do not ascribe sentience to the mountain; yet at no other moment am I sunk quite so deep into its life. I have let go my self. 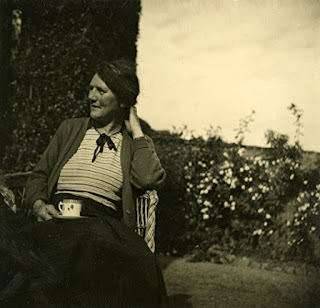 The experience is peculiarly precious because it is impossible to coerce." 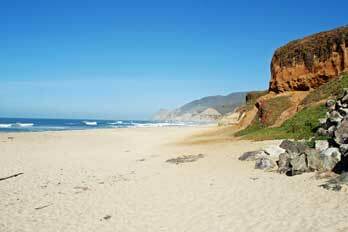 Although I have not had that experience in the mountains, I had a similar experience when I was in my early 20s while sleeping in a nest I had dug for myself in a steep slope of warm sand when I was alone on the north end of Montara Beach on a cool windy sunny weekday. Although I have looked for a photo in Google images showing the steepness of the beach, I couldn't find one. Perhaps the nature of that beach has changed in nearly 50 years. Perhaps the nature of the beach changes from summer to winter. 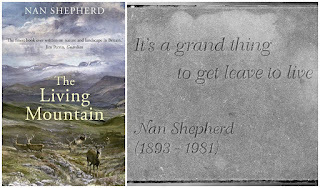 Nan Shepherd's words brought back my experience. That place and time was where I experienced paradise. It's been 10 years now since I've visited the ocean. That was also the last time I visited the Sierra Nevada. I have lived closer to mountains than to the ocean for most of my adult life here in Northwest Washington and yet I rarely visit the mountains except in my dreams. 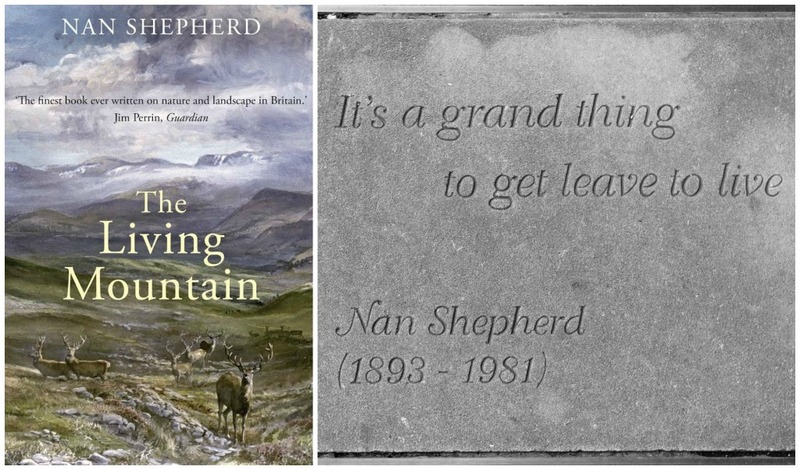 Reading Nan Shepherd's book was like revisiting the recurring dreams I've had of walking in the mountains. Some of my ancestors lived in Scotland. 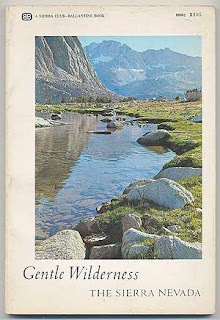 Maybe some memories of the Cairngorm mountains of Scotland are in my DNA. I am grateful to Nan Shepherd and John Muir for their celebration of life in the context of walking and resting in the mountains. For now, I walk close to home near the shore of a 14-mile lake with a view of mountains, surrounded by woods, just a few miles from the Salish Sea, finding a measure of peace and celebration in doing that. This is beautiful to read. I tried sleeping outside in the garden on hot summer nights but there are too many cats in the neighbourhood and they all want to check me out and play. We I first travelled in Ireland, 1976, we slept on the beach and in the fields, it was a very hot summer. I hadn't a clue about Ireland and thought this was normal. I moved there four years later and had to wait another three years for a "real" summer lasting more than the proverbial day. sometimes, i have the feeling that the experiences i recall from my youth happened in another life. time moves us on so quickly and yet seems so long ago when we call back the memories. how wonderful to have a memory of paradise.